Through the generous support of our donors, the Office of Alumni Relations provided 23 students with more than $27,000 in funding during the 2017–18 academic year. These scholarships for incoming freshmen support students from high schools in northern Indiana and southern Michigan who have earned a minimum GPA of 3.5 on a college prep curriculum. The scholarship is renewable if a minimum of 3.0 is maintained. The Larry Lentych Award is funded via the IUSB Alumni Association Scholarship Endowment Fund. The Larry Lentych Award was established to honor Larry Lentych, current secretary of the IU Alumni Association Board of Managers, and to recognize his leadership in alumni relations and scholarship development. The Legacy Award is funded via the IUSB Alumni Association Scholarship Endowment Fund. The Legacy Award is given annually to recognize a full-time faculty member who has made a significant impact on their students. The faculty recipient will have a scholarship awarded to a student in their area of study. Named for Professor of Finance Jamshid Mehran, this scholarship is given to a finance major in their senior year with a minimum GPA of 3.5. Named for Joann Phillips, former director of alumni affairs and licensed social worker and therapist, this scholarship is given to a full-time graduate student in social work with a minimum GPA of 3.0 and demonstrated financial need with a preference for under-represented populations. This scholarship provides support for current or incoming undergraduate students who have been out of high school for at least three years. Financial need, GPA, and community service are factors considered in selection. This scholarship supports undergraduate students with a minimum GPA of 2.0 or graduate students with a minimum GPA of 3.0. Preference is given to Hispanic students. All funds given to this scholarship are available for distribution within the academic aid cycle. This scholarship supports undergraduate students with a minimum GPA of 2.0 or graduate students with a minimum GPA of 3.0. Preference is given to Hispanic students. Donations to this fund are added to the endowment. The endowment’s interest is distributed in scholarship. 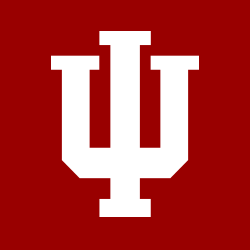 Known as the IUAA Scholars and supported by fees collected from the sale of IU’s collegiate license plate (the most popular collegiate plate in Indiana) these scholarships are available to sons or daughters of MEMBERS of the IUAA. One scholarship will be designated for a qualifying student (full-time, undergraduate) from each of IU’s eight campuses. The remainder will be awarded to students on an at-large basis. The scholarships will be awarded on the basis of financial need and academic achievement as determined by the Office of Student Enrollment Services. Preference is given to first-time recipients of the scholarship. Children and grandchildren of IU Alumni Association staff members, student leaders of IUAA-sponsored organizations, and IUAA student employees are eligible to receive the Linsmith Scholarship. Selection is based upon outstanding character, financial need, and academic achievement. The Linsmith Scholarship was established by Jo Ann Linsmith, BS'72, of Bradenton, Fla., who died in 2009. She and her husband, the late Charles Linsmith, MS'64, served IU as devoted alumni. Jo Ann helped found and served as president of the former IU Alumni Club of Sarasota and Manatee Counties (Fla.), which is now the Florida Suncoast Chapter of the IUAA. She served on the IUAA Executive Council and received the IUAA President's Award in 2000. Through the Linsmith Scholarship, she wished to recognize the service and devotion of the Association's staff members and students. Each year, a child of an alumni chapter leader—who currently serves as an officer or board member—receives this $1,500 scholarship. The student must be enrolled as a full-time undergraduate student on any of the IU campuses. Awarded to undergraduate and graduate students from the GLBT community. The GLBT Alumni Association emergency scholarship is for gay, lesbian, bisexual, or transgender undergraduate or graduate students attending any IU campus and facing a loss of financial support. A GLBT student can be awarded this scholarship up to two times. For an application, please contact Doug Bauder at the Gay, Lesbian, Bisexual, Transgender Student Support Services Office, 812-855-4252. Awarded to undergraduate and graduate students attending any IU campus. Awarded to undergraduate and graduate minority students attending any IU campus. Complete the application, applying for both IU South Bend and IU Foundation funding.